'I would like to see women on Top Gear' Jump to media player Top Gear should maintain "a sense of danger" under new presenter Chris Evans, BBC Director General Tony Hall has suggested. Chris Evans explains Top Gear move Jump to media player Chris Evans has been talking about his new role as the main presenter of Top Gear. Evans: 'We will hold Top Gear auditions' Jump to media player Radio 2 DJ Chris Evans tells the BBC's One Show that auditions will be held to find his co-hosts for Top Gear. Clarkson gives Evans Top Gear tips Jump to media player Jeremy Clarkson gives Chris Evans some tips on Top Gear presenting style while they drive around London in a Ferrari. Stig backs Chris Evans for Top Gear Jump to media player The "original Stig", Essex-based Perry McCarthy, has backed new Top Gear presenter Chris Evans to create "something special" when the show returns. Clarkson 'grateful' for fan support Jump to media player Suspended Top Gear presenter Jeremy Clarkson says he is "grateful" for the support he has received from his fans, as a petition to have him re-instated receives more than 800,000 signatures. Clarkson: Top Gear was my baby Jump to media player Jeremy Clarkson has said that Top Gear was "very much" his "baby" and that being dropped from the show "left a big hole" in his life. Top Gear should maintain "a sense of danger" under new presenter Chris Evans, BBC Director General Tony Hall has suggested. 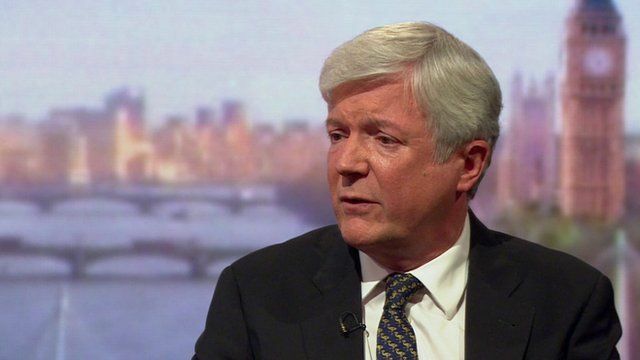 Speaking to the Andrew Marr Show, Mr Hall said he was thrilled that Mr Evans had agreed to replace Jeremy Clarkson. Mr Clarkson's contract was not renewed following a fracas with a producer earlier in the year.